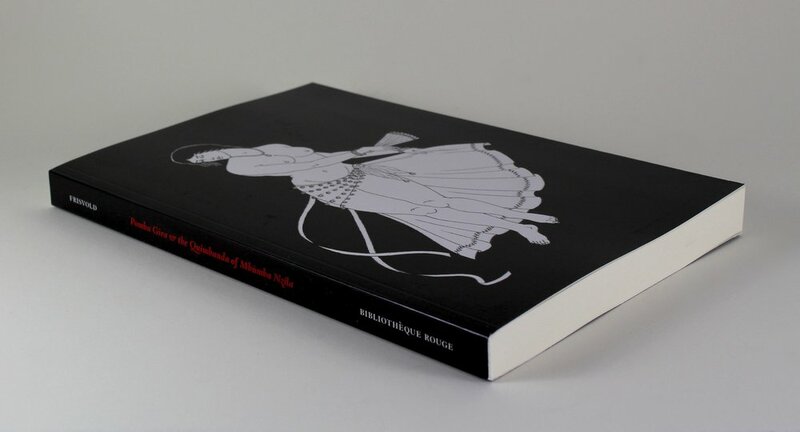 A significant study on the cult of Pomba Gira, this is the most comprehensive work in the English language on the Devil’s mistress, whose Brazilian cult has bewitched so many. It is a book that those seeking congress with the current of strong female magical sexuality have long desired. A beguiling spirit, Pomba Gira gives solace to the broken hearted, vengeance for the wronged, and a fierce path for those that would take her as muse. In Pomba Gira and the Quimbanda of Mbùmba Nzila Frisvold gives explicit workings, baths and waters, her songs and chants. Her plant allies among the nightshades are described in a full herbarium. The attractions and dangers for both men and women who make cult to her are presented, as are her many faces. Pomba Gira has origins in the witchcraft of Portugal, the Basque Country as well as Congo and the native influences of Brazil. The witchcraft fusion makes her cult particularly accessible to Westerners whose own traditions share much ground with Quimbanda. Frisvold carefully unravels the skeins, revealing her origin in historical figures such as Maria Padilha, but more deeply still through archetype and myth to the very essence of her skin shedding nature. He finds the origin of her name in Congo, the cult of divine possession amongst the slave camps of Brazil, and brings us through to her more modern manifestations and his personal work with the Queen of the Fig Tree in Hell. As an initiate and devotee, he gives an insider’s view with the same respect and experience he demonstrates in Palo Mayombe: The Garden of Blood and Bones. We walk through the Queendoms of Lyre, Cemetery, Sepulchres, Streets, Crossroads, Wilderness, Soul, Oceanshore and Calunga. The workings of twenty four different Pomba Giras are given, from Cigana the gypsy to the split skull face of Rosa Caveira. Through the razor blades in honey, the cigarette smoke and the sweet anisette spilt in the graveyard, Pomba Gira takes seductive shape. Quimbanda is largely understood as a black art because it is here that we find the cult of the devil and his wife. The red world of the devil’s spouse and mistress merges into his darkness as roaring laughter bursts from the pits of hell and mischievous acts are incessantly performed. One petitions the aid of the powers of Quimbanda whether one seeks to tie another’s heart in a desperate obsession, or if seeking the insanity or downfall of an adversary. It is said that Exu and Pomba Gira work fast and will give, bound by contract, whatever vulgar or worldly desire you might seek to attain. Quimbanda seizes its potency in the great hour, midnight itself, where Venus Vespertina oversees the secret rites of riot, revolt, hatred and lust. By candle, blood, spirit signature, prayer and song, these denizens of hell are brought forth to provide solace. Their fierce reputation often distorts the simple message they convey – namely that they reflect your passions, and that hell is already here. The majority of people seeking the aid of Exu and Pomba Gira are in despair and torment – they are experiencing their own hell and as a result they are already in the realm of Exu and Pomba Gira. What in time became known as Quimbanda was in the past referred to as macumba or simply black magic; the diabolic imagery was a constant theme, so it is only natural that they came to accept and absorb the diabolic iconography attributed to them. It is important to understand that Quimbanda is part of a complex and breathtaking socio-magical skin-shedding activity. Macumba was the tool used by 'the people of the streets,' the outcasts, slaves, free-born slaves and all strata of society that suffered under oppression. The diabolical realm was seen as inhabited by spirits not weighed down by morality and ethics. They did not judge, but instead they understood, and on the basis of this mutual understanding pacts were made. The intention in the past was not to go to a spirit, ask a favor, make the contract and then leave the pact upon completion, as is common today. Our dealings with spirits are often plagued with the faulty ideals of consumerism. The spirit retinue of Quimbanda has much to give and can aid in maturing our understanding of the world, if we can only allow them to do so. Doing this invites challenges, for to take on the devil as one’s tutor will not make for a safe journey. They are hard and demanding teachers that at times perplex in their responses and actions as they seek work to heal the tormented human soul. This ultimately providesgreater solace than the quick fix of a problem that will simply recur unless we come to understand its root causes. When faced with obsession, despair, passion – all matters of the heart – Pomba Gira is the one who knows intimately the essence of these afflictions and how these matters can be solved in a compact of understanding. It is here we find the avenue where a geographically located cult, like Quimbanda, has global value. To make this avenue more viable and visible it is important to venture deeper down the twain and twisted roots of Quimbanda. Quimbanda is a word derived from the Kimbundu-speaking people in the upper parts of the district of Mbundu in Angola, ki’mbanda being the plural form of medium. We find the same origin in the word Umbanda which is derived from mbanda, the singular form of medium amongst the Kimbundu and Mbundu-speaking people of Angola. The idea of being a medium is more broad in scope than someone who simply receives spirit communications. Amongst the cults of diviners and healers, like the Nkita and Ngombe cults in the vast region of Congo and Angola, mediumship was of a more prophetic nature. A kimbanda was someone who was seen as having a unique connection with Nzambi and through this would convey messages of truth, healing and restoration for individuals and society. The role might have been more similar to that of the shaman who is divinely appointed to take care of the spiritual well-being of his people. This indicates that the medium would possess remedies for healing, protection and combat in his arsenal. The wider connotation of the world of the mbanda is today largely forgotten in favor of the image of the quimbandeiro being more akin to the iconic amoral sorcerer. We find this connotation attached to Quimbanda through its earlier names Macumba and Magia Negra (Black Magic). Macumba was not a term restricted to the cult of Exu and Pomba Gira, but was used as a generic signifier for any form of nocturnal magical practice. The word Macumba is most likely from the Kikongo mayumba which means a magical working that ignites insanity. As we can see, there is a strong Congo legacy at work in the cult of Quimbanda that was reinforced dramatically in the 70s with the simultaneous decline of the conception of a non-African ancestry for Quimbanda. From this afrocentric reclaiming, reconstructions of various forms took place, most notably the adoption of Exu and Pomba Gira into many houses of Candomblé. Here we find the origin of the contemporary diffusion and confusion between Exu, the diabolic force in Quimbanda and the Orixa Èsú. Ngola, Kikongo and Kimbundu words were also adopted into the cult, leading both to a more concise liturgy, but also a distortion of African ideas by understanding several key concepts on Western premises. All this led to a greater diversity in Quimbanda and Umbanda. For instance, recently the concept of nkulu has been taking shape amongst quimbandeiros. This describes the essentially nocturnal nature of Exu and Pomba Gira as malevolent spirits. In its Kimbundu origin, nkulu designates the soul, but it also has ancestral inferences. It may or may not be used to describe an ancestor of malevolent orientation. There are also the kabalistic forms of Quimbanda as well as the spiritualist, satanic and ceremonial forms. The most curious one is probably the work of Rivas Neto and his cosmic Hindu-Lemurian synthesis based on ‘high magic’ vaguely rooted in Eliphas Lévi. Confronted by this great variety it is evident that this ‘cult of mediums’ replicates a diversity similar to that of the healers and mediums in Congo and Angola. The spirits inspire and manifest in varied ways – the only faults in this mediumistic resurgence lie squarely with the medium and the whole complex of possession and doctrine. Within the cult of Pomba Gira and Exu we are confronted with cultural forgetfulness paired with social need. In this field of necessity and lies, devotion and truth, the spirits dance in man’s heart and life. This is natural in a constantly skin-shedding cult and as Roger Bastide comments in his research: 'memories inherited from the ancestors survive only insofar as they can insinuate themselves into the existing framework of society' (Bastide 1978: 258). This loss of substance, as he calls it, is the vacuum that spirit fills through mediumistic transmission. Bastide takes a somewhat negative attitude towards this and states that this ancestral forgetfulness is filled with new elements that are extraneous to the African root. This might be so, but I believe matters are more complicated: there is a play between the recognition of the old in new designs, and a recourse to modern elements to replace the lost fragments. Thus, Quimbanda moves and pirouettes and replicates the essential nature of the Craft of the Wise in its fluid flux across time. If we acknowledge this proposition to be useful in understanding the complexity of Quimbanda, it can provide an explanation as to why we find such diversity both in the performance of the cult and the various expressions of the cult ranging from the diabolic to the more speculative New Age forms. In spite of its constantly evolving nature, the fundamental premises of the cult are always in place and at the centre stands the medium as the pillar for the spirit’s ascent and descent. Given such diversity, the roots of Quimbanda have been subject to great dispute, both between scholars and practitioners. These disagreements have at times led to stasis. This is quite evident in one of the few studies on Brazilian cults and religiosity in the English language by Diana D. Brown (Umbanda, 1986) where she gives up and resorts to guesswork of an ill-informed nature. This shows the complexity and difficulty in understanding how both Umbanda and Quimbanda came to be what they are today. The sociologist, historian and painter Gilberto Freyre commented in 1933 that it was perhaps best to see the religious developments in Brazil as less religious and more social. By this he meant that social need was the prime factor that provoked change, interaction and stability from centre to centre across Brazil. In a recent study, professor of music Marc Gidal rekindles our memory by reminding us how Quimbanda was worked prior to the social changes in Brazil in the 70s. Gidal points out how, as late as in the 50s, one could go to a centre or terreiro of Umbanda and witness the limited attention given to Exu and Pomba Gira. Commonly, a ceremony consisting of minutes in honor to the owners of the great hour (midnight) was performed. The ceremony was restricted to a petition, and possessions, if they happened at all, were described as brutal and wild with the mediums growling and shouting in the most nefarious manifestations. Today, Pomba Gira and Exu come down in more civilised ways and give counsel, help with spells, and give advice – a position originally pertaining to the preto velhos, or ol’ Blacks, seen as the omnipresent ancestral wisdom. With the possessions becoming more elaborate, so too did the drum patterns and the amount of pontos cantados – the songs that give praise and songs which invite possession and manifestation. Quimbanda has become the cult of the common people. Everyone can come to Pomba Gira when their heart is broken, in suffering and pain. She never judges, but always understands – because she is you – only many lifetimes wiser. This makes it very difficult to judge various forms of Quimbanda as more legitimate than others – in the end it is up to the quality of the mediums to relay wisdom inspired by spirit that can work upon us in a positive way. The nature of possession invites the question of how reliable the transmission is. In many instances I have witnessed possessions that are not so much spirit manifesting as they are an exercise of the psyche. This means that one is exercising parts of the self which are denied or suppressed in daily life. Possession then takes on the function of catharsis, or a lower exercise of the form of the spirit called upon. This can often lead to purification in its own right where one’s demons are exorcised and pacified. These possessions do not necessarily provide any spiritual insight, but should still be acknowledged for their positive effects, that is, if we are honest about what is going on. Honesty in place, these forms of psychic possession can often be a good thing. The quality of possessions is in my opinion directly dependent on the tronco or the solidity of the house. The more steady and good the tronco is, the more reliable the spirit communication is, and the need for total possession is lessened. When the tronco is good, it appears as if the whole room is saturated in spirit and it is often sufficient to place oneself under the inspiration of this cloud of spiritual fire flowing around the sacred space. A good tronco serves as a steady foundation for the cult that sheds it skin in celebrating each new night upon the earth. This renewal of form, this skin-shedding quality is evident everywhere. 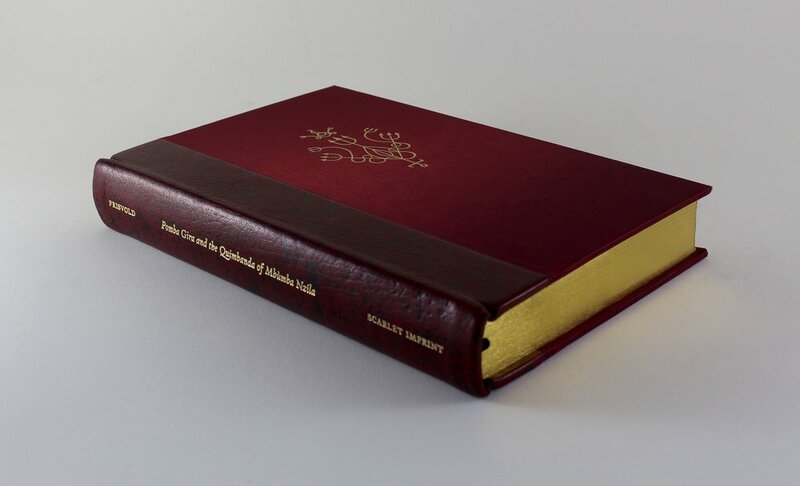 The standard edition of Pomba Gira, resplendent in scarlet moiré.